Just in time for the holidays, I present to you a cover that's just fun and makes you wanna read the story. 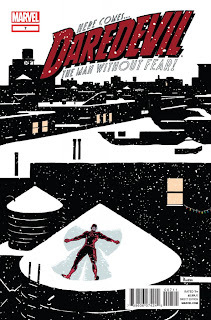 Ladies and gentlemen, here is Daredevil #7. Take a look. This piece by Paolo Rivera just screams fun and it's an instant classic. 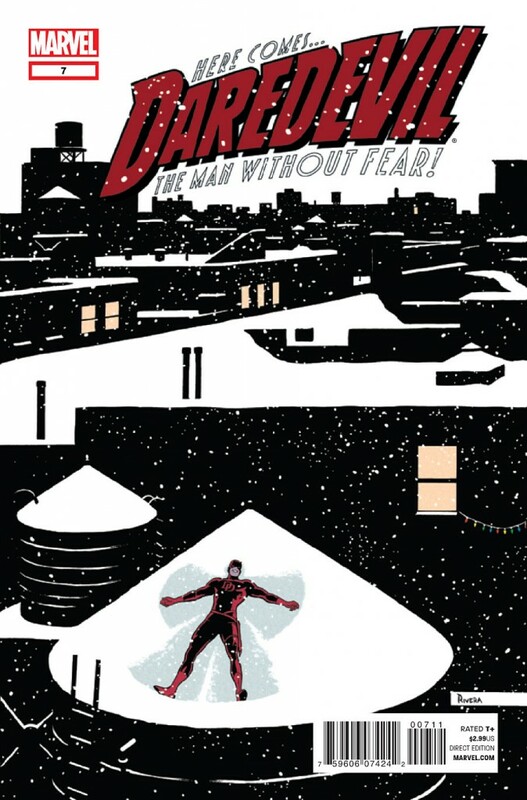 The blind hero making snow-angels. Awesome. I'm actually behind on DD, so I have no idea what has been going on with him. But the issues are sitting here waiting to be read. Like it? Of course you do, it's DD playin in the snow. But in the off-chance you don't, share why. As always, thanks for looking. Happy Holidays to all the funny book lovers, your families, and everybody else.